GraphScape is a software for landscape structure analysis and mobility modelling based on graph theory. It is intended to fill the gap between classic patch-metrics approach and functional connectivity approach. 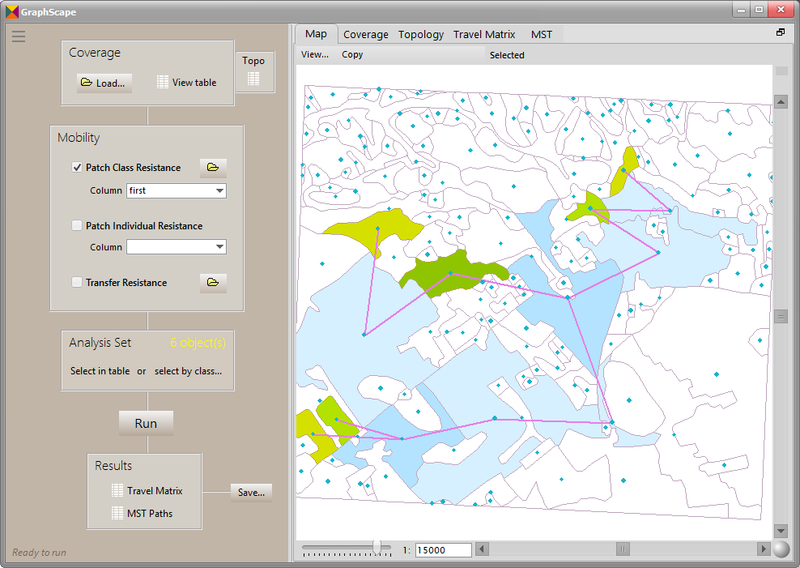 GraphScape works upon vector-based maps in shapefile format and outputs results as text, tables, image and shapefile.